Sometimes my inspiration for a project is hard to categorize. Not so with this little one. Adapted from a pattern from Creepy Cute Crochet, I couldn’t resist making this. Oftentimes, I design my own patterns, but that is not necessary when you have one so perfect at your disposal. 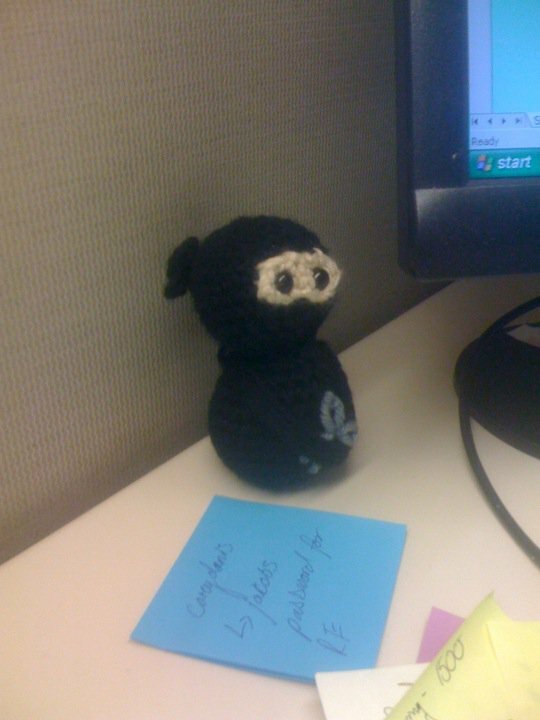 That in turn spurns me to make her an office ninja of her very own, which I of course hid on her desk to scare her. If you look closely, you can see I gave her scissors. 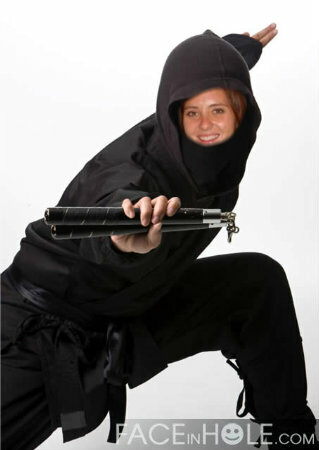 Jessica said the ninja was a girl. This little item has been very popular with the office as it has been chucked at unsuspecting people for the week. I’m glad I provided a little fun.